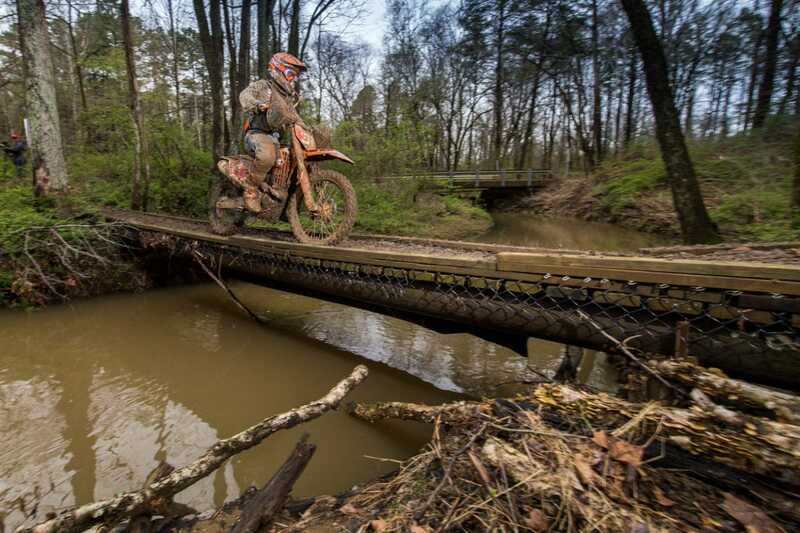 Steward Baylor soldiered through extreme muddy conditions for another national Enduro win. Steward Baylor extended his lead in the Kenda AMA National Enduro Series championship standings by taking a solid win in extremely challenging conditions at this weekend’s FMF Red Fox National Enduro near Lynnville, Indiana. Riding in some of the toughest conditions the series has seen in years, thanks to hard overnight rains, Baylor built a comfortable lead right out of the gate with wins in the first two tests. The Tely Racing KTM rider managed to stay out of trouble for the remainder of the day to claim the overall victory by a 28-second margin over FMF KTM Factory rider Josh Toth.